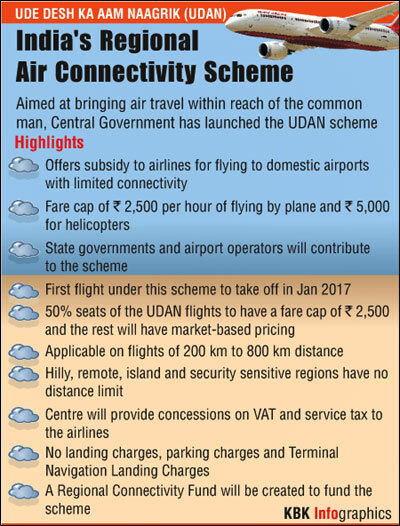 Fliers on major domestic routes will soon have to shell out more for flights to fund the government's regional connectivity scheme announced, on Friday, under which fares will be capped at Rs 2,500 for half of the seats in one-hour flights. The cap on fares would be reviewed periodically based on Consumer Price Index for Industrial Workers and would also vary in tune with duration of a flight under the Regional Connectivity Scheme (RCS), which has been named 'UDAN'. However, the government's move to impose a "very small" levy on every departure on major routes to fund the scheme seems to have not gone down well with many of the existing airlines as they feel that such a move could push the airfares higher and are of the view that there are other ways for funding the scheme. The exact quantum of levy to be imposed would be decided in the coming days. A "first of its kind" in the world, UDAN (Ude Desh Ka Aam Naagrik) will be based on market mechanism as well as bidding for a minimum of 50 per cent seats in the participating airline's flight and the rest would be market-based pricing. Helicopter services too can be part of the scheme. The government expects the first flight under this scheme to take off in January. Charging a levy on profitable routes is likely to push the airfare for fliers. "We are cautiously optimistic about it (UDAN)," Civil Aviation Minister Ashok Gajapathi Raju said at a media briefing, adding that the first flight under the scheme is expected to take off in January 2017. Under the scheme, mainly aimed at connecting unserved and under-served airports, airfares would be capped at Rs 2,500 for half of the seats in flights travelling a distance of 476 -500 kilometre. This translates to around a one-hour journey. As per the government, a participating carrier - which would be extended Viability Gap Funding (VGF) - has to bid for at least 9 seats and a maximum of 40 seats. In the case of a helicopter, the operator has to bid for a minimum of 5 seats and a maximum of 13 seats. The limit of RCS airfare would vary from Rs 1,420 to Rs 3,500 for fixed-wing aircraft. For helicopters, half-an-hour ride under the scheme would cost Rs 2,500 and for over one-hour duration, the cap would be Rs 5,000. On each RCS route, the minimum frequency of flights would be 3 and a maximum of 7 in a week. 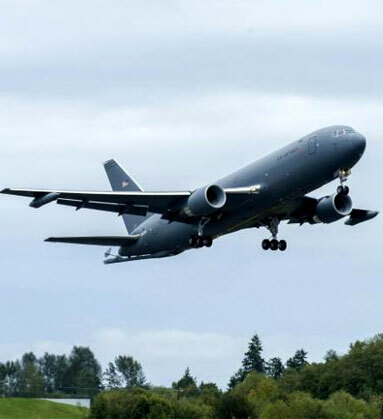 "This is first of its kind globally... We are doing something not done anywhere else," Minister of State for Civil Aviation Jayant Sinha said. The fares will be capped at Rs 2,500 for one-hour flights on unserved and under-served routes. 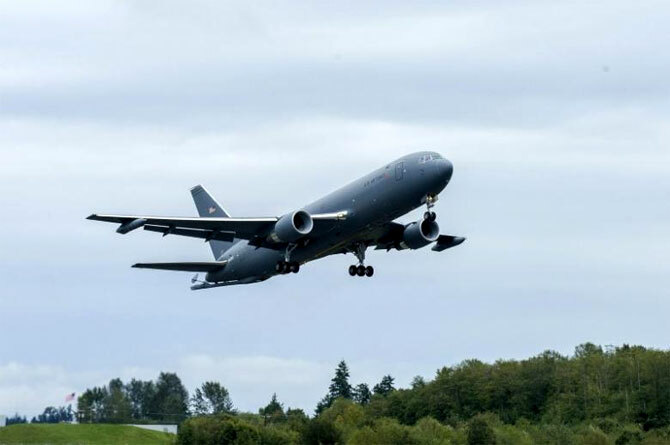 Civil Aviation Secretary R N Choubey said the rules related to the levy will be "printed in the gazette in two days" while the executive order in this regard will be ready by month-end. The levy would be "very small", he added. Opposing the levy, no-frills airline SpiceJet's chairman and managing director Ajay Singh said that perhaps the government should fund the scheme from its own budget. "When you build a railway station it is not that you start penalising passengers for that railway station. So when you launch a scheme of this sort, perhaps the government needs to fund it from its budget instead of imposing more of a tax on consumers. "So, we oppose it from the perspective that surely there could be other ways to fund the scheme which is nationally so important," Singh said soon after announcement of the final version of the RCS. The airfare cap for every RCS route in a network proposal shall be based on the respective stage length/ flight duration of such RCS route and airfare caps specified under this scheme, the Civil Aviation Ministry said. "Further, VGF per RCS seat for each RCS route in a network proposal shall be based on the respective stage length /flight duration of such RCS route and corresponding VGF caps specified under this scheme and the VGF per RCS seat bid/quoted by the selected airline operator," it added. Airports Authority of India (AAI) would be the implementing agency for the scheme which would be in place for 10 years and the provisions would be reviewed at least once in three years. Choubey said that interested entities can submit their proposals to be part of the scheme from Friday.